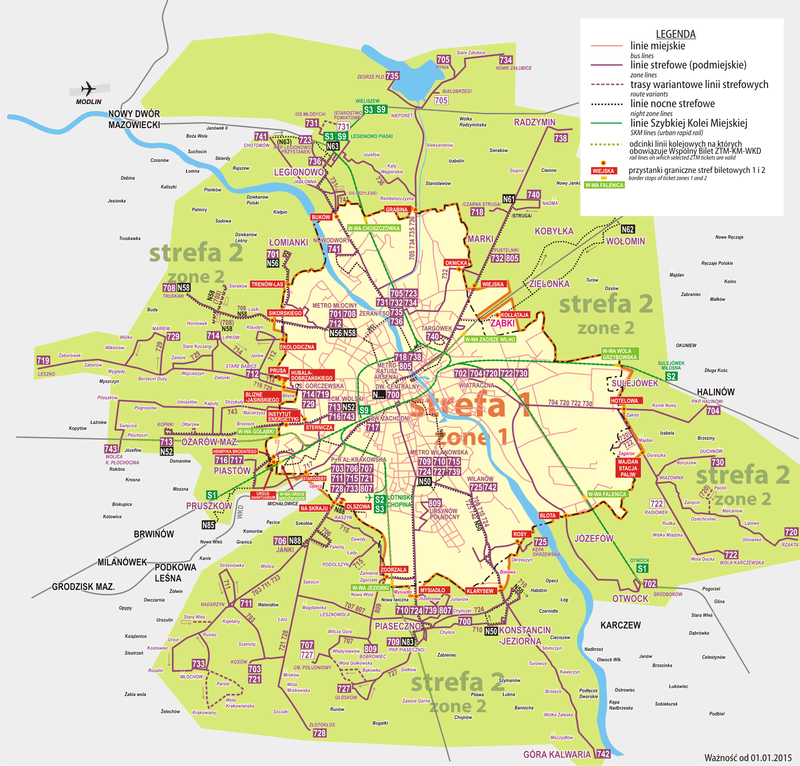 You can find on this page the map of Warsaw bus, the map of Warsaw suburban bus and the map of Warsaw night bus. Warsaw buses are a transit system serving the city of Warsaw (Poland) with the metro, the suburban train and the tram. The bus, suburban bus and night bus network has 261 lines (178 regular lines, 42 suburban lines, 41 night lines). 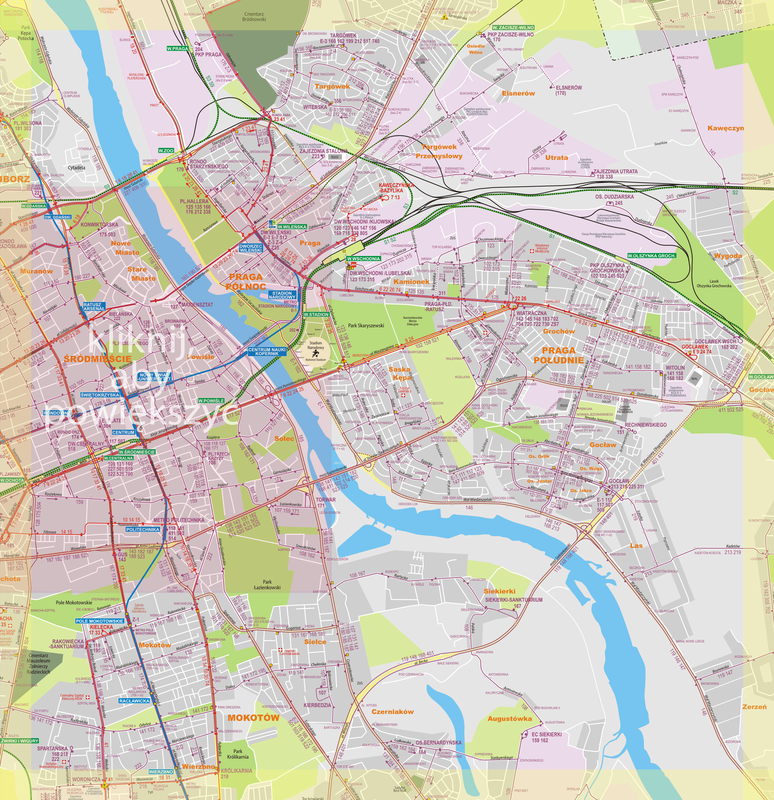 The bus network of Warsaw exist since 1920 and is operated by the ZTM (Zarząd Transportu Miejskiego) via 4 transportorrs : ITS Michalczewski, PKS Grodzisk Mazowiecki, Mobilis, MZA Warszawa. Its network has 178 lines. The suburban bus network of Warsaw exist since 1991 and is operated by the ZTM (Zarząd Transportu Miejskiego). Its network has 42 lines. 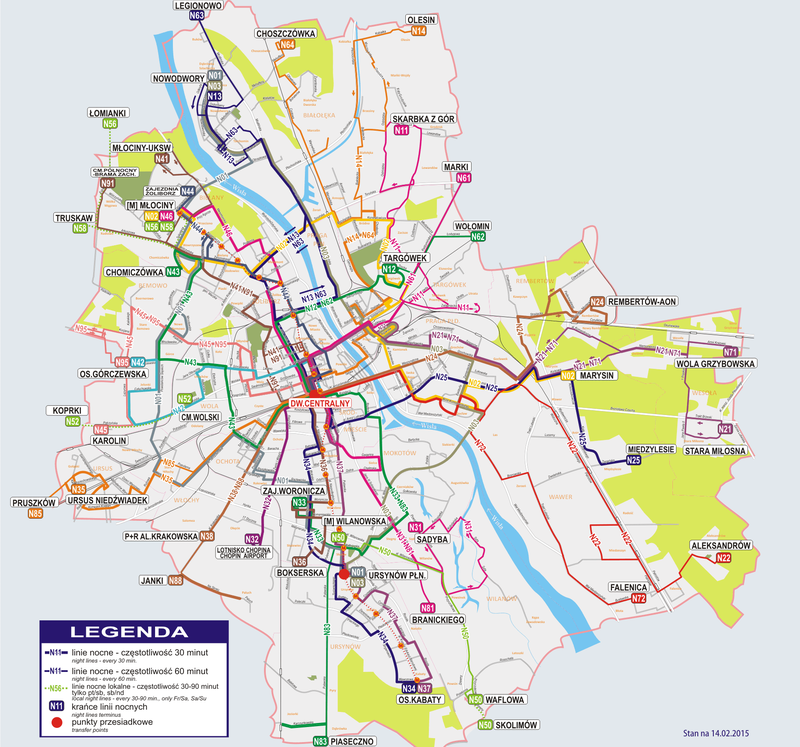 The night bus network of Warsaw exist since 2007 and is operated by the ZTM (Zarząd Transportu Miejskiego). Its network has 41 lines.